With post and packing in UK £30.00 Overseas will have to add extra. ISBN: 9780957085046; 208pp, 50 contributors. It can also be ordered though Amazon but they will, as we know, effectively take all the money! CONTENTS: Introduction: Ken Plummer 1. 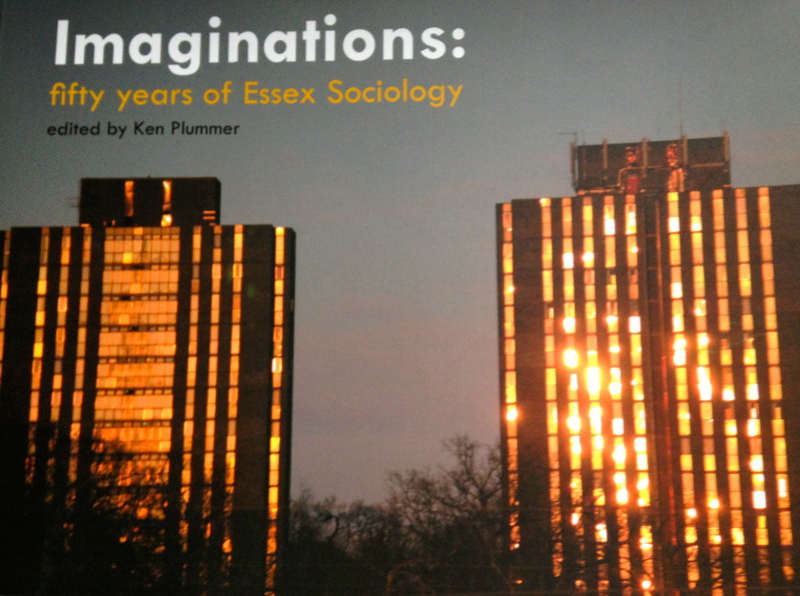 Contexts – Creating Essex Sociology-A Timeline of Memorable Moments Peter Townsend’s Founding Vision – Transforming Visions for a Twenty First Century. 2. Formations The Early History: Joan Busfield: Remembering Early Days – Adrian Sinfield: The Challenge of Social Policy – Geoffrey Hawthorn; A New Lecturer’s View – Christel Lane: A Student’s View: Undergraduate Study During The University’s Early Years: 1968–1972 – David Bouchier: From Student to Staff: David Bouchier (1968–1986)- Making Troubles – David Lane:1968 – Michael Mann: Troubles of 1974- Judith Okely: The 1989 Czech ‘Velvet Revolution’ As Experienced At Essex 3. Wisdoms Imagining Social Justice: Creating Better Social Worlds For All Introduction.- Michael Harloe: On Peter Townsend’s Poverty – Stan Cohen: Remembering Harold Wolpe – Lydia Morris: Human Rights – Michael Bailey: Public Activism Research Imaginations: Creating Multiple Methods For Sociology Introduction: Unlimited Research – Peter Abell: Whatever Happened to Mathematical Sociology? – David Rose: The Origins of The Institute for Economic and Social Research ISER – Heather Laurie: ISER: So What Happened Next?- Louise Corti: The Creation of Qualidata Mark Harvey: Centre for Economic and Social Innovation Comparative Imaginations: Building An International Sociology Introduction. Alison Scott: On the School of Comparative Studies -Ayse Güveli: The Gains and Changes of Migration- Interdisciplinary Imaginations: Broadening The Scope of Sociology Alasdair MacIntyre: Philosophy in the Sociological Conversation 1960−1970 – Michael Roper: Social and Gender History Ken Plummer: Making the Person Matter – Karl Figlio: The Creation of the Centre for Pychoanalytic Studies – Eamonn Carrabine: Imagining Crime – Sean Nixon: The Moment of Cultural Studies – Michael Halewood: Theory in the Department – Colin Samson: Sociology, Neoliberalism and the Struggle to Keep the Interdisciplinary Spirit Alive 4. Communities Remembering Communities John Scott: Coming Home – Rob Stones: The 1990s in the Essex Sociology Department: A Personal Point of View- Mary McIntosh says goodbye Miriam Glucksmann: Remembering the 1990s – Building The Educational Community: The Great Sociological Conversation Rowena Macaulay: Twenty Years of Departmental Support: The Student Resource Centre – The Office Community Mary Girling & Paul Thompson: Reflections of a Departmental Secretary – The Global Community From South Africa: From Hong Kong: From India – The Web Site Community The Long Community Nigel South 5. Futures Looking Ahead Voices: Professors Voices: Former students- Refelctions: Telling stories of Essex Sociology- Epilogue And Reprise: The Last Refuge – Suggestions for Further Reading – Index Focus Boxes: The heads of department -The Vice-Chancellors -The expansion and transformations of Essex- Profile of an early student – The professors – Social class and David Lockwood – Seeking gender justice – feminism in sociology – A red-green revolution? – Moments of oral history at Essex: From Gay Liberation to “Sexualities” and Intimate Citizenship- Focus on Essex’s Legacy: Some Fifty or so research areas and their books – Evaluating the quality of research – Some of the most cited books in the department – Focus On Public Lecture Series: The Fuller Lectures – Focus on Dennis Marsden – Honorary degrees – Consolidating the canon: The textbook tradition at Essex – Student numbers at Essex – Focus on the Rise of Teaching Assistants – Focus on the Essex newsletters and journals: The reading and writing community – Managing the department: The Secretaries – Paul Thompson remembers Brenda Corti- More stories of Essex Sociology- Focus on Essex’s Legacy: Some Fifty or so books published by graduates and researchers – Focus on Essex’s Legacy: Some Fifty or so graduates and researchers who became ‘Essex’ Professors – Sociology in the Media: Pam Cox- Handing our stories on. I had a truly memorable time in the Sociology department at Essex though it wasn’t an easy ride. Entering as an adult through an ACCESS to Higher Education scheme with a failed school history behind me I was initially scared and overwhelmed by the perceived grandness of ‘ Academia’. A place where others belonged, not me. The reading and course contents were exacting and challenging: at times mentally, physically and emotionally draining; at times energizing even exciting. The lectures were usually engaging and sometimes inspiring. Most seminars were stimulating, thought- provoking and sometimes fun. The sense I gained from many of the department’s lecturers was that they cared how well their students did. That they wanted them to gain an understanding of the world as seen through the critical eye of sociology and to take this understanding into the world and make it a better place. How fortunate I was to have studied Sociology at Essex when I did: at a time when human currency was as valuable as the monetary, market- driven kind; when academic rigour was imposed by approachable and caring academics who were themselves not yet consumed by the crippling demands of ratings and publications. At the core of all this lay the departmental coffee room. It was a lifeline for us students and the departmental secretaries were truly the bees’ knees. What Brenda didn’t know wasn’t worth knowing, what she and Mary couldn’t fix wasn’t fixable. We students knew that the Brenda, Mary, Diane and Sue cohort was a precious resource: we suspected that they could have run the country better than any government before or since. It was also recognized that all work and no play make Sociologists a dull group. So play we did. The department was reputed to have the best parties and gatherings. And it did. It was indeed a very special time. Over time Essex became my own. I belonged. I was hooked. I began an MA. More agony. More challenges. More fun. In 1994 Ken Plummer, who was then HOD, set up the post of Student Services Support Officer and the Resource Room. I had just completed my MA and made the seamless transition from student to staff . Helped by a myriad of very special students who dedicated their valuable time to running the show, the Resource Room grew to become an integral part of the department and student life. : a testament to a departmental ethos which understood the holistic principle of student growth & development. My thanks go to the wonderful people who made my time at Essex so special and managed- despite my deeply rooted mistrust of ‘Theory’ – to convert me into the sociological way of viewing the world and its multiple realities. And now there’s no turning back. Today I own and manage an Azienda Agrituristica in the hills of Umbria, Italy. Which amounts to being an unpaid administrator, cleaner, gardener, pool girl, receptionist, hostess and driver. The countryside is stunning, the place is beautiful, the food is great and the stress levels are low. I remain curious and very interested in people and their individual and collective behaviours, in social structures, cultural diversity, inequality and education. Hence my role as Trustee (governor) at St Stephens International school in Rome where I currently hold the post of vice Chair of the Education Committee. Of all the memories, I think I should mention Brenda Corti, and the support she gave to everyone. The other thing I remember is that the people in the department didn’t take themselves too seriously, and did know how to party. Wherever you go in the world there are connections to Essex. Essex changed my life. I gained not just a perspective but a way of life. It gave me the confidence to stand alone when I needed to. I have been lucky enough to work in social science since I left despite various politicians, and I was able to influence students; my sixth-form students used to call this “Leightonism”. I also learnt how to really write, although I took it for granted until others pointed it out. 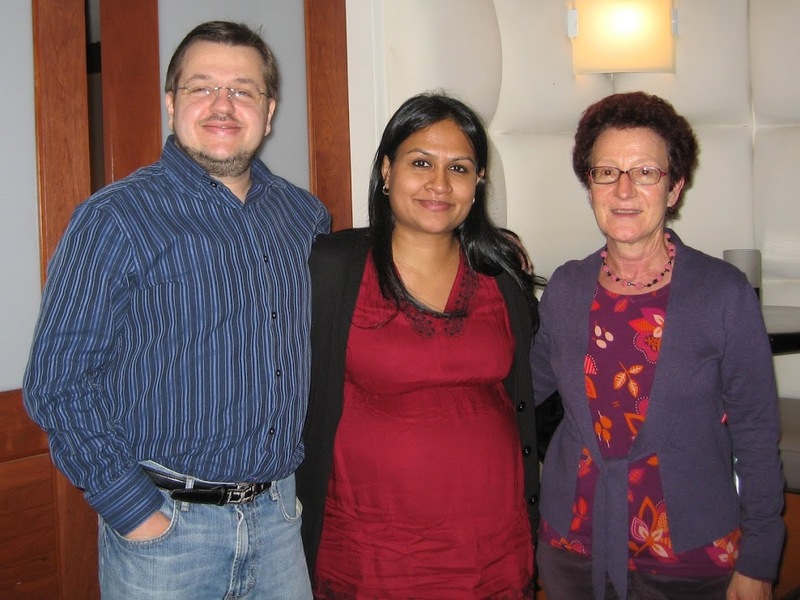 I made life-long friends at Essex, across the University through the mature students society. Oh, and I also met my life-long friend and husband Jon Mulberg. * Buy cup of tea in Square 4 café. Slip into back of Howard Newby’s lecture, bit late. * After lecture up to Common Room with other mature students and many of the lecturers. * Dash to Library floor 3 to grab recommended readings from lecture. High correlation between speed and grades. Then enjoy camaraderie of other students all there also. * Back to library for an hour before pickup children. Witness occasional book theft (throwing them out the window). If summer then children already here, playing with chess set in square 2. * Also in summer go on walk round lakes, or nature walks with Ted Benton. * Return later in evening to socialise in Bar. Only sometimes. Honest. * If end of year party in Towers. I leave at 10 pm. Honest. 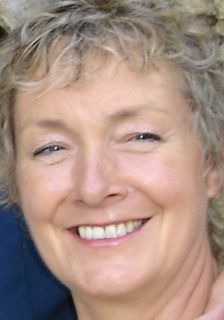 * Later as postgrad there’s Judith Okely’s weekly methods seminar, with students from all over. I have loved reading all the stories gathered in so far and share the affection and gratitude they exhibit. But there is one aspect of the experience that has not yet received the attention it deserves – how many ordinary happinesses there were and I am sure there still are. So here are a few of the many things that that still make me laugh or smile whenever I remember them. Walking down to campus from Wivenhoe House. The departmental reading room, especially when the morning rolls and coffee had just arrived. Having to cross a picket line when I came for my interview. Mary Girling’s huge dogs lying around the office when they were sick. Walking past Mike Lane’s office after lunch. Peter Townsend really meaning it when telling me that he was very pleased that the University had given me tenure despite the objections of the Department’s senior staff(himself included). Staying overnight in George Kolankiewicz’s house in Queens Road with my first real duvet, my last outside toilet and my only Francis Bacon soon to live next door. Dancing the ‘funky gibbon’ with Mary Mac at one of Ted and Shelley’s parties. Numberless parties at Ken and Ev’s: great music, brilliant food and far too much drink. Having to learn how to teach again after smoking was banned in all classrooms. Seeing the first punk tour with Wreckless Eric, the Stranglers et al in the university ballroom. Derrick Schwartz telling me that Harold Wolpe’s nickname amongst the graduate students was ‘killer’ because he always responded to their answers to his questions by asking them to explain why they had so answered. Dropping in on George Kolankiewicz, Sean Nixon or Ted Benton for a chat. Ted’s face when I told him at a party in the upstairs bar that my idea of communism was lying on a beach, listening to music and drinking beer. Driving up to Colchester from London with Harold and Ernesto Laclau. They argued about Marxism all the way – never again, absolutely terrifying. Many lifts from Harold on his own to and from London – also very fast but not quite so terrifying. I ultimately realized that he was trying to teach me how to theorize with his relentless ‘whys?’. Being in a car going back to London wIth Jean Baudrillard – haunting. Lifts to London with Sean, RIchard Wilson and Carlo Ruzza: life-enhancing and serene progresses. Watching George on TV every night during the rise of Solidarity. The Fuller Bequest: it paid for two long trips to and around the US during the 1970s – Greyhound is probably the best way for a sociologist to travel around America, but does anyone have the time anymore? An outdoor hot spring bath with Professor Fuwa and his colleagues on a Japanese mountainside when the first snowflakes of the winter started to fall. Staying overnight at Dennis Marsden and Jean Duncombe’s, especially our breakfast chats. Realizing that when Mary GIrling gave me a nickname it meant I was generally accepted as being a fit and proper person to be a member of the Department. 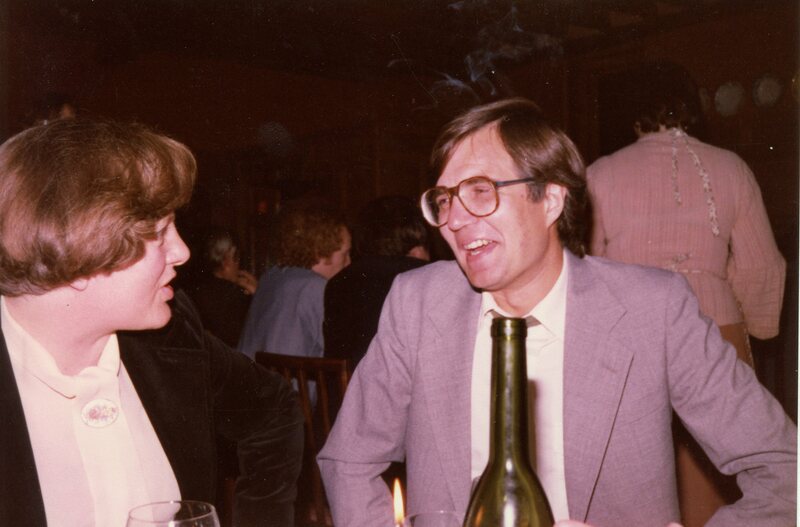 Spending time with Howard Newby in Madison when we were both exiles in America. Maxine Molyneux when she suddenly swerved off the road and roared around a field when taking me and others back from the pub to my house in Wormingford – such is the power of Abbot Ale. A gorgeous lunch at Mick Mann and NIcky Hart’s equally gorgeous house in Dedham. The ‘Sociology of the USA’ class that lasted four and half hours. David Lockwood’s amusement on suddenly realizing that we both had rather small feet. Eating horse sashimi (and mushrooms) with HIromi Shimodaira in Matsumoto. A lovely party at Ian Craib’s beautiful windmill in Sudbury. Cruising (not really) in Santa Barbara and Hollywood with Harvey Molotch and Glen. Going with Pete Utting and Amalia Chamorro to the celebrations in Managua that marked the second anniversary of the Nicaraguan revolution – ‘presente’. Getting extremely drunk (on Sociology as well as wine) at Bryan Turner’s house one night – I think that must have been when we became frIends. Teaching the joint seminar in Government and Sociology with Bob Jessop. Having just ridden all the way from Cambridge on his pushbike, Bob would come in and speak perfect Jessopese for the first hour without a note. DInner in Hong Kong with Ken and Ev, Travis Kong, Raymond Chan but unfortunately not Jimmy Wong. Getting to know John Gagnon (a little). The most sophisticated person I have ever met – ‘awesome’ as he would never say in a million years. An outdoor hot bath with Professor Fuwa and his colleages on a Japanese mountainside when the first snowflakes of the winter started to fall. Great chats with Lydia Morris at the French House in Soho. Bryan suggesting to me at the Dictionary Launch in the LTB foyer that I extend my work on labour rights to human rights more generally. I replied that unfortunately I knew nothing about human rights. ‘Exactly’ said Bryan, ‘nobody in sociology does’. Suggesting to Richard Wilson that he extend his work on truth commissions to human rights more generally. Richard replied that unfortunately he knew nothing about human rIghts. ‘Exactly’ I said. A summer holiday in Montecastrilli with Mike and Joan – delicious and topped off with dinner at a Michelin-starred restaurant in Joinville on the way back. Visiting (many times) Katsu Harada’s beautiful, neo-traditional house in Kamakura and listening to jazz. Harold’s inevitable response to any request for advice on a difficult personal matter, ‘Tony, do as you think best.’ Still good advice. I would like to thank Ken Plummer for inviting me to share my memories of Essex. I was Ken’s Teaching Assistant in 1998-1999 and 2000-2001, and to say that I was completely blown away by the vitality and incredible lucidity of his lectures – would be such an understatement. Listening to him (SOC 101: Introduction to Sociology) made me wish that I had learned from him as an undergraduate. Besides Ken, some of the inspiring professors that I had the privilege to study and interact with, both during my Masters, and later PhD, were — Miriam Glucksmann (my PhD supervisor), Ted Benton, Lydia Morris (PhD examiner), Pam Cox, Jane Hindley, to name a few. I came to Essex in 1997 to pursue a MA in Social and Economic Development (an inter-disciplinary course between the Departments of Sociology and Economics), which I understand is no longer offered. I had graduated in 1997 with a Bachelor’s degree in Economic (Honours) from the University of Delhi, India, but had chosen to pursue the inter-disciplinary course at Essex mainly because I had always been fascinated by Sociology (knew very little about it, though). It was also because at the end of my 3-year bachelor’s degree, I could not visualize myself pursuing a career in Economics. I had found it to be very econometric-centred, something that did not sit well with me. I was interested in Development Economics – or as my late-grandfather used to put it – the kind of economics that Amartya Sen (a fellow-Bengali and an acquaintance of my grandfather’s) teaches. The fact that Essex offered a course that combined both Development Economics and Sociology seemed like a win-win. The academic environment at Essex was so vibrant – there we so many lectures, seminars and colloquiums to attend, constantly expanding one’s intellectual horizons. Up until then, I had mainly studied within the Indian academic system (except for a brief stint at the University of California, Berkeley, where I took a course on Women’s Studies). The Indian educational system places a premium on learning by rote (it still does, although changes are afoot), and I do not recall being encouraged or trained to critique the material in any way. Lectures were often a one-sided affair, with students memorizing the lectures/notes and readings, and there was very little space for genuine debate or reflection. Learning by rote was something that I was quite good at during my school years, but I simply could not sustain that by the time I entered University for my undergraduate degree. So much of what I was studying either did not make sense to me, or seemed at odds with my politics – and yet there was no avenue for expressing that. As a result, I retreated and did not engage with the material or attempt to genuinely learn from it. By the time I had arrived at Essex, therefore, I was craving an interactive and intellectually stimulating environment. And my, did Essex deliver! Even though I was new to Sociology, I did not feel like an outsider for too long. 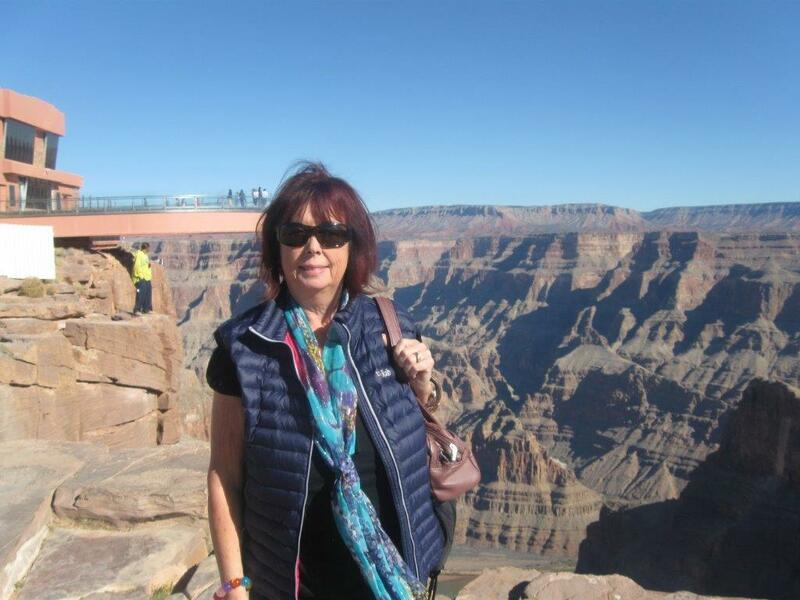 I encountered a department full of professors, administrators (Brenda Corti, Helen Hannick, Diane Allison, Mary Girling, Sue Aylott) and peers that were unfailingly warm, accommodating and engaging. As a result, I developed some wonderful friendships, some of which continue till today, despite the distance. – Introductory conference for new students, followed by a welcome dinner at Wivenhoe’s Tandoori Hut: a first glimpse into a fiercely talented and charmingly quirky community that was going to be home for the next, almost 4 years. – Lecture by George Ritzer on ‘McDonaldization’: a very engaging discourse on a fascinating concept, which was followed by Ted Benton’s equally incisive query along the lines of “where/how does class fit into all of this?” It confirmed Ted’s status as one of my intellectual heroes! – Fuller Scholarship: I was grinning like a Cheshire cat (for what felt like days) when I received news of having been awarded the scholarship. This ensured that I would stay on at Essex for my PhD. I can still recall Tony Woodiwiss’ (then HOD) warm smile as he informed me of the Department’s decision and congratulated me. 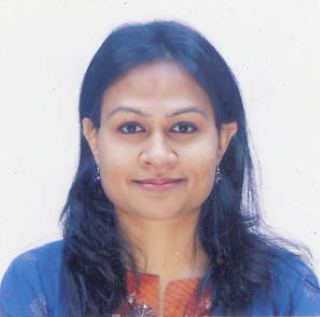 – Mentorship and guidance: I was never more convinced that I had chosen the right PhD supervisor in Miriam, than when I would receive very pragmatic and consistently supportive messages from her while in the midst of my field research – this was a challenging year spent travelling to remote villages and towns in India. Miriam also did not hold back on her criticism, as she did when she quite bluntly warned me that I would not complete my PhD if I took a break during my third-year to commence a consultancy with the United Nations. While I was initially taken aback (Miriam later gleefully confided that she had overdone it a bit to ensure that I would listen! ), it did force me to refocus my priorities and to persuade my future employers to wait until I had submitted my thesis. – ‘Ruth Cavendish’: I have always been terribly impressed by the fact that Miriam, as the pseudonymous Ruth Cavendish, wrote “Women on the Assembly Line” – a groundbreaking ethnographic study. I recall having mentioned this several years later to my husband, Bernard (we were newly dating then), and even though he’s a political scientist, he knew of this study – needless to say, he scored big points. Before arriving at Essex, I had worked with several civil society organisations and NGOs including the Bangladesh Rural Advancement Committee (which provides micro-credit loans to rural women). I grew up within the ‘NGO-world’ in many ways, owing in a large part to my parents’ political and social activism in India. After leaving Essex, I worked (very briefly) with the Asian Development Bank (posted in Manila, Philippines), and then with the United Nations Development Programme (UNDP), where I have been since 2002. My work with UNDP has taken me to some exciting destinations – I was in Lao PDR for 2.5 years as the Assistant Country Director (I headed a team that worked on poverty eradication, HIV/AIDS prevention, gender empowerment, private sector development, and UNDP’s flagship ‘Human Development Report’). I also worked with UNDP’s regional programme on HIV/AIDS for South and Northeast Asia, specializing in anti-trafficking and migration issues. I have been posted in New York since 2006, where I am currently working as Donor Relations Adviser with UNDP’s External Relations Bureau. My team works on resource mobilization and maintaining partnerships with a variety of actors, including ‘donors’ to UNDP, such as the Nordic countries, Canada, UK, US, Australia, etc. A career with the UN certainly has its ups and downs. While it is hugely satisfying professionally, the pace of work and constant pressure to travel does take a toll on family life. Bernard and I have a young daughter and we find ourselves, as do many others, constantly trying to find that elusive work-life ‘balance’! Looking back, I can quite confidently say that being at Essex was in so many ways a life-changing experience. I could not have asked for a better intellectual ‘home’. Even though I have not pursued an academic career since completing my PhD, the training that I have received here has held me in good stead! 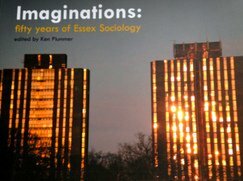 Ken asked me to write a short piece to share my memory of my encounter with Sociology Department at Essex, which I am delighted to do so. 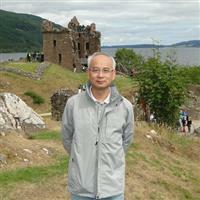 I learnt about Sociology at Essex from my former teacher Sammy Chiu (who had been at Essex in 1982 to 83). Those big names such as Peter Townsend, Stan Cohen, David Lockwood, Paul Thompson …; and the radical and progressive academic atmosphere attracted me. With all those fantasy and romantic dreams on studying overseas, I came to Essex to study the MA in Social Service Planning programme (which ceased to be on offer from the early 1990s) in 1988. I was greeted by Dennis Marsden along the corridor (in fact, he sent me most of the course outline months earlier so that I could prepare better), and then, a warm welcome by Brenda Corti who showed me my pigeon hole in the Sociology Reading Room. The Reading Room became my favourite place to meet friends and fellow students (and I learnt how to refill the coffee powder in the machine, and drink coffee on and on every day). It was there I found two Hong Kong students (C H Ng and W K Chan) were in there final stage of PhD study in the Department. I was very fortunate to have the Department’s support and then receive a full scholarship to support my study. Without this, I don’t think I could have come to Essex. It proved to be a turning point of my life. Yet, I was probably not too ready for academic study at that time, and did not perform very well during this year. Nevertheless, it gave me an eye-opening experience, being exposed to a variety of theories and perspectives, staff with diverse academic interests, and personal contact with students from all over the world. I was also impressed by the very informal and warm atmosphere in the Department, with a lot of social activities: the graduate workshop and conference at Clacton-on-Sea, the gatherings and interesting discussions in The Rose and Crown at Wivenhoe (I can now find it on Google Earth! ), Chinese meals at the relatively cheap Dragon House also at Wivenhoe (I still have a picture with Omololu Soyombo who is now at Lagos University, and Moha Asri Abdullah who is now with International Islamic University Malaysia). I also remember Mary Girling’s lovely dogs sitting quietly in the Reading Room. May to June 1989 was a dramatic and traumatic moment for many Chinese students, for the things happened in Tiananmen Square. And the Department staff were very understanding and supported us in organizing actions on the campus. In that year, I also experienced many personal challenges, and I was so grateful to the support from Dennis, Michael Harloe, Brenda, Mary and many others, that I could recover quickly to complete my dissertation (supervised by Michael) in August and then have time for a lovely “run-the-England / Scotland” trip with Moha. I graduated in 1989, and went back to Hong Kong to work for three years. But I decided to return to Essex to start my PhD in September 1992, under the supervision of Michael. As Michael was leaving for Salford to become Vice-chancellor in 1997, I had a good reason pushing me to finish my study as quickly as possible (I passed the viva in January 1996, and received my PhD in July). I still consider coming back to Essex to do my PhD as the right decision. I received tremendous support and excellent guidance from Michael, Colin Samson and Rob Stones (they were my panel member). Studying PhD was a very different experience from studying a MA. Well, I became older and more mature, spent lesser time in the Common Room and more time in my own office, concentrated on my own study and more intellectual discussion with other PhD students. The Department offered me financial sponsorship on data collection both in UK and in Hong Kong. After spending the first year in Essex, I returned to Hong Kong to work with City University of Hong Kong (where I stay until now) to earn money to pay tuition fee. Thanks to email, I received very good guidance from Michael. Michael gave me very detail comments on every draft chapter. It was 25 years since I first came to Essex. In August 2013, I visited the Department again with my family, told my children how I spent my times in there. That was summer, and the Reading Room and the campus were almost empty. Still managed to buy souvenir from the shop. I also visited Mary, and my children played with her deerhounds. The Department has changed a lot. The social policy (my major research area) component seems no longer a key emphasis in the Department. Many familiar faces have left. Yet, the Department is as strong, vibrant, energetic and international as always. Wihtout any hesitation, I am proud to be a graduate of the Essex Sociology Department. I welcome you to visit me in Hong Kong! 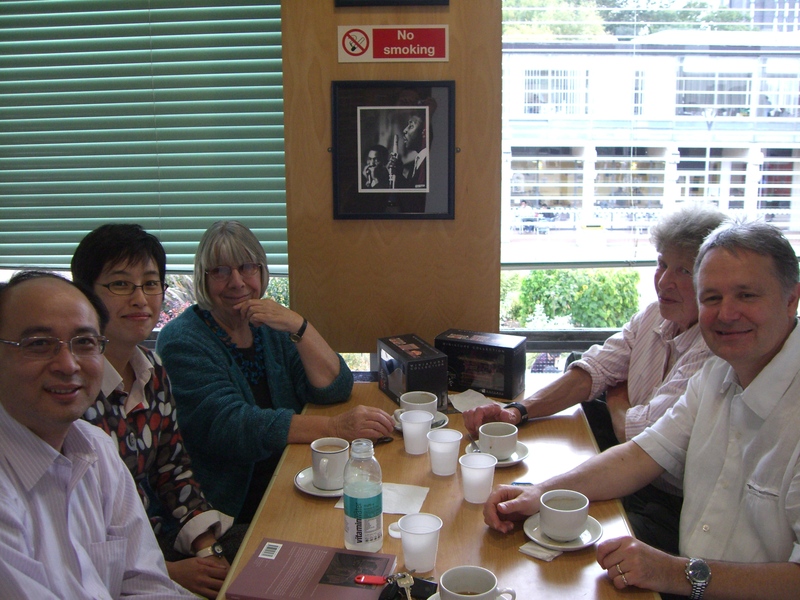 Here is a lovely picture sent to us by Raymond Chan from Hong Kong ( see entry above) on a visit to the campus in 2008. From left to right are: Raymond Chan, Maggy Lee, Brenda Corti, Mary Girling and Rob Stones. It captures a wonderful ‘nostalgic’ moment. Do send us more photos. And we will get a scrapbook going.